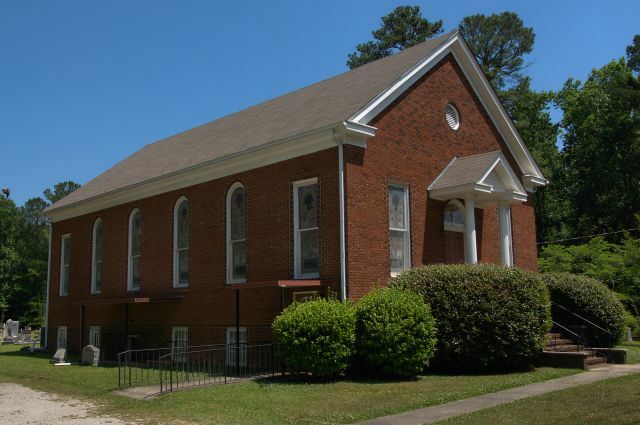 From the historic marker placed in 1957 by the Georgia Historical Commission: When a new building was completed in 1939, the name of this church, established in 1844 as Prospect Methodist Church, was changed to Allen-Lee Memorial Methodist Church to honor two of its illustrious members, Dr. Young J. Allen and Dr. J. W. Lee. Dr. Young John Allen, born in Burke County, Jan. 3, 1836, was reared by an aunt, Nancy (Wooten) Hutchins, near Lone Oak. In 1851, during a sermon by Rev. John W. Yarbrough, first pastor at old Prospect, Dr. Allen was so deeply convicted of sin and the need for salvation that he jumped from the window and fled into the woods. Returning to the church, he was converted and, in 1859, sailed to China as a missionary and teacher. Bishop Warren A. Candler, in his book, “Young John Allen – The Man Who Seeded China”, said: “His great work opened the way for the Gospel in China and made easier the task of every missionary in that vast Empire”. Dr. Allen died in 1907. Dr. James Wideman Lee, native of Lone Oak, was outstanding in the North Georgia Methodist Conference. He later became a renowned minister in a leading church in St. Louis, Mo., and was influential in founding the Barnes Hospital there. 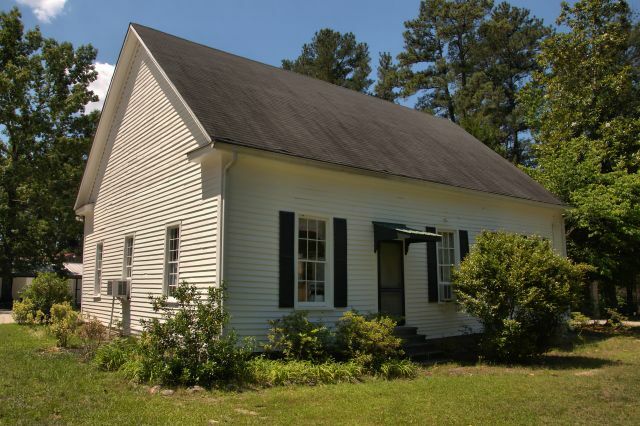 His uncle, William Owen Lee, gave the land for this church.